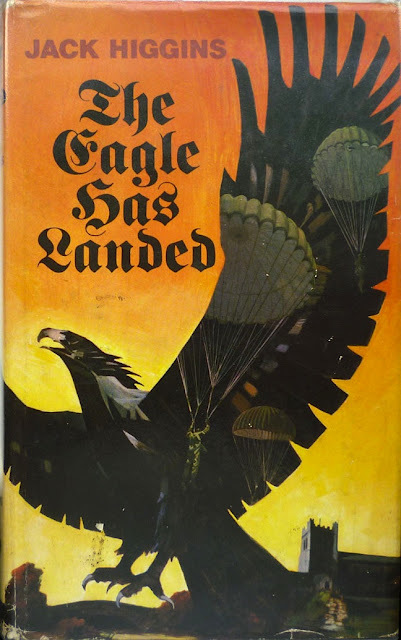 First published in the UK by Collins in 1975 under a dust jacket illustrated by Barry Glynn, Jack Higgins's The Eagle Has Landed didn't have long to wait to be filmed: the eponymous movie adaptation, directed by John Sturges – the final film of his stellar directing career (highlights including The Great Escape, The Magnificent Seven, Gunfight at the OK Corral, and one of my favourite movies of all time, the sort-of-sequel to Gunfight, the excellent Hour of the Gun) – arrived in cinemas the following year, starring Michael Caine as Lieutenant-Colonel Kurt Steiner, Robert Duvall as Colonel Radl and Donald Sutherland as Liam Devlin. Like Where Eagles Dare, The Eagle Has Landed is one of those terrific war films I'm always happy to watch when it pops up on telly on a Saturday afternoon. 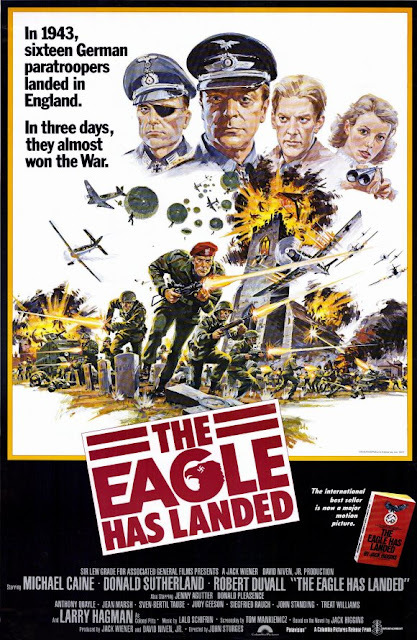 It's perfectly cast (Caine, Duvall and Sutherland all brilliantly personifying their respective characters – plus it's got Jenny Agutter in it, a woman who holds a special place in the hearts – and loins – of men of a certain age), nicely scripted (by Tom Mankiewicz), and of course solidly directed by Sturges. But the best thing about it is the story, and that's down to Higgins. 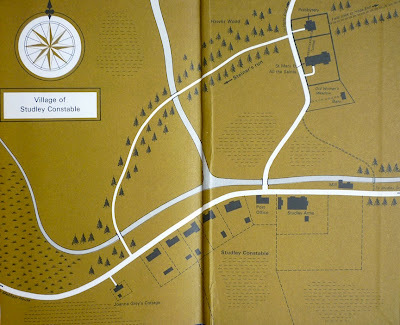 With only minor differences – the removal of a character and subplot or two in the film – both book and movie follow the same trajectory: a plan is hatched by Himmler to either kidnap or kill British Prime Minister Winston Churchill, who, the Germans learn from Joanna Grey, a spy living in the (fictional) Norfolk village of Studley Constable, will be staying with the local lord of the manor. 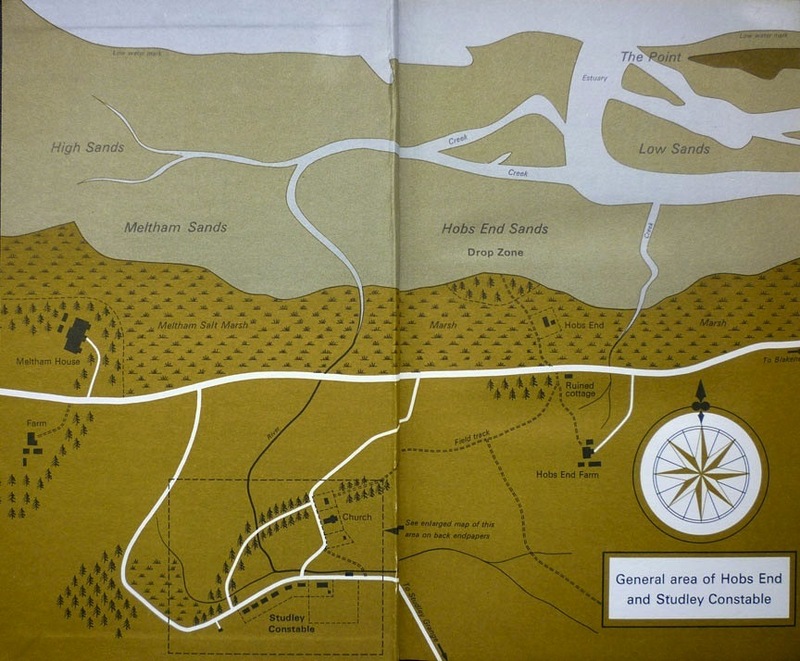 Tasked with planning and carrying out this mission are Radl, Steiner – along with what remains of Steiner's paratroop assault group after having fought on the Eastern Front and then being assigned in disgrace (following a bust-up with the SS) to the Channel Islands – and Devlin, an IRA man resident in Berlin. The planning actually takes up two-thirds of the novel, Higgins rattling through the final incursion into Studley Constable, its subsequent collapse after one of the German paratroopers rescues two kids who've fallen under the watermill, and consequent firefight with an American Ranger unit at a breathless pace. 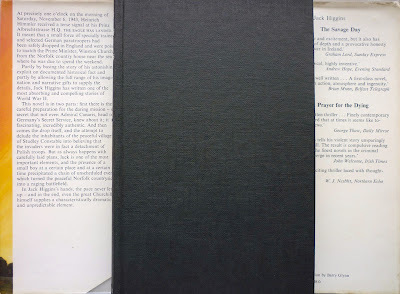 But both parts of the book are splendidly written – not especially stylishly, but populated with memorable, well-drawn characters and penned with the gusto of an author who knows he has a cracking yarn on his hands. That said, a yarn isn't how Higgins presents the tale: his Author's Note at the start claims that "at least fifty per cent of it is documented historical fact", while a framing device sees Higgins himself visiting Studley Constable in the then-present day, researching a magazine article and inadvertently uncovering Steiner's story. 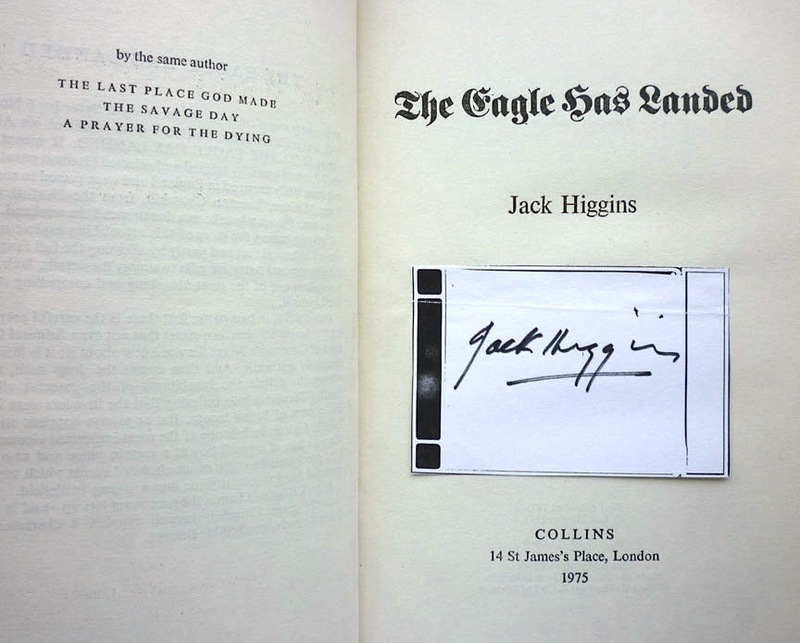 I know of only one other signed copy of The Eagle Has Landed in any edition – another Collins first, again bearing a bookplate, and offered by an American dealer for over £350, which is a hell of a lot more than I paid for mine. Sorry to see this series end. No, really! If you ever revisit it, how about "The Third Man"' movel vs. movie? I honestly don't know who wins that match. Thanks, Chris! 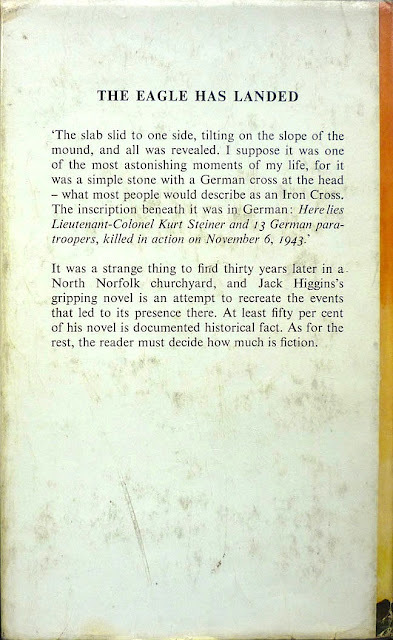 The Third Man would be a fine choice for a follow-up series; I did see a first edition of that at the last Lewes Book Fair, but it was a bit pricey. I may get my hands on one at some point though. If I might make one further suggestion, for some future series, Donn Pearce's Cool Hand Luke is well worth reading in its own right. In some ways I liked it better than the movie, and I really love the movie. And seriously, even though his writing career kinda fizzled out, Pearce's bio makes him sound like a Westlake character--maybe even a Richard Stark character. Duly noted, Chris. I know the film well, but haven't read the book. I'm amazed no one has mentioned the far superior 1942 film "Went the Day Well" about Germann paratroopers taking over an English village prior to a Nazi invasion. (A film memorable for Thora Hird's proficiency with a Lee Enfield rifle!). 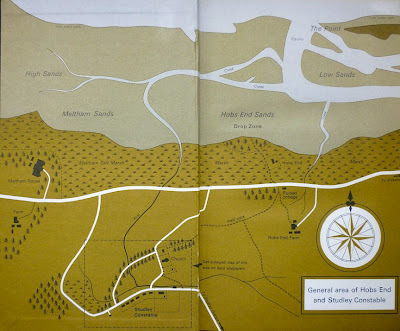 It was based on a Graham Greene story which I've never been able to track down. 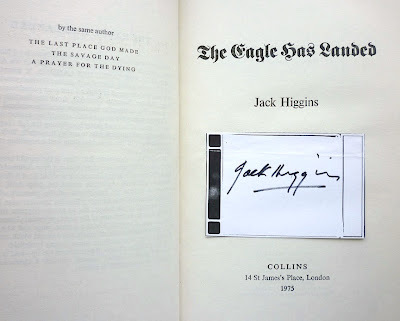 As for the book The Eagle Has Landed, the publishing legend is that Jack Higgins almost pulled out of his contract when he was told Collins only planned a print run of 8,000 copies. Higgins was convinced the book would do well - and he was right. Someone mentioned Went the Day Well to me on Twitter, Mike, and after your comment, I looked it up, never having seen it myself. Seems to be remarkably similar! And thank you for the background publishing info on Eagle – very interesting! Quick addendum: Went the Day Well was on telly over Christmas, and Mike's right – The Eagle Has Landed really is remarkably similar!